FIRST OF ALL, congratulations to all of us, to every Filipino for being the luckiest people in the world – during elections. We probably have the most number of countrymen who wanted to ‘serve’ us. The funny thing was, all of them promised, within six years, to accomplish two major things that even God has failed to do in two billion years: ending poverty and stamping out corruption. Cute! 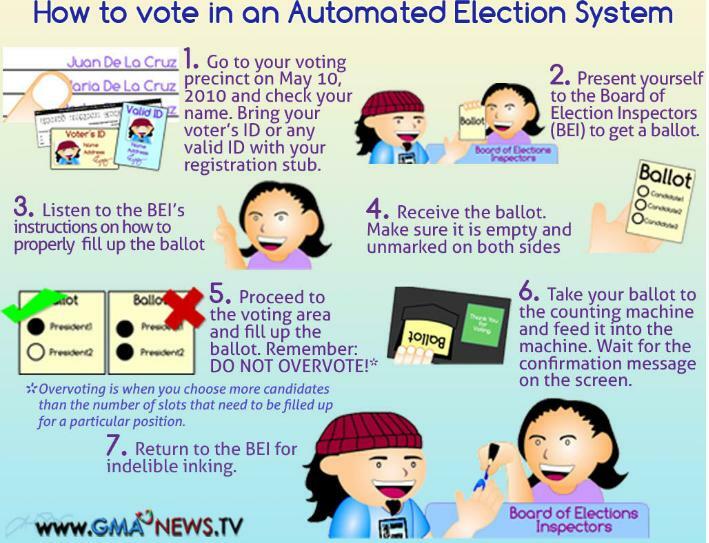 The historic automated general election takes place Monday, May 10. Yes, it’s now happening. We all survived several months of mudslinging, unbelievable pitches, excruciating political ads, unprecedented spending, malfunctioning PCOS machines, psychiatric reports, and Nanay Curing. But was it all worth it? As we prepare to vote, let us review the events of the past five months and hand out some trophies to the best and the worst of this year’s elections. For some of the categories, there will be a winner and a runner-up. Again, you must remember, the role of the runner-up is very crucial. 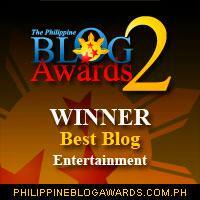 If, for any reason, the winner declines the award, the trophy will be forcibly given to the runner-up. Are you ready? Think American Idol 2009. Manny Villar was the Adam Lambert to Noynoy Aquino’s Kris Allen and INC represented the voting public. It was all Adam from Episode 1 to the final performance night. And then came the shocker at the finalé: the public voted for Kris. Unfortunately for Villar, this is not a singing tilt, and the INC is not voting for a second placer. A week after gathering his Lakas party mates for a loyalty check, he abandoned them. Nakakaloka! Apparently, Noynoy Aquino is a believer of Joey Salceda so he made an offer Joey couldn’t refuse. Ang haba ng hair mo girl! This just in! A survey conducted in the Gordon household revealed that Richard Gordon was the top choice of cooks, nannies, and drivers for president. The gardener who conducted the survey is now facing a lawsuit from the Bagumbayan standard-bearer. Two reasons why the ‘mentallly-challenged’ issue against a certain candidate failed: One, the documentary evidence presented was a fake. Two, we already knew it. Two reasons why Roxas would probably lose: One, Jejomar Binay has more than one presidential candidate. Two, Roxas’ got half. The ‘use’ of Nanay Curing says it all. Three letters and an exclamation point: WTF! Two reasons why it worked against Villar: One, the public really hated GMA. Two, it’s true. The ad propelled the NP standard-bearer to a statistical tie with his closest rival, and its catchy tune produced this generation’s youngest political turncoat – Baby James. Vilyay! For the millions if not billions of pesos in revenues from political advertisements. Walang kinikilingan! Walang pinuprotektahan! At magpapatrol saan man sa mundo, basta’t may TV at may tao! Whateverrrrr! Blow-out naman d’yan, mga friends! Runner-up: Candidates who solicited and accepted campaign contributions but never really campaigned. Matalo man, panalo pa rin! Ang kakapal ng mukha n’yo! In her most convincing performance yet as an actress, an emotional Kris Aquino took a swipe at her brother’s critics. Nope, she was not campaigning. It just so happened that she had to mention the name “Noynoy” 15 times during Boy Abunda’s interview. A few more workshop sessions and Odette Khan’s got competition. Good luck! Two thumbs up for Mrs. Palengke for keeping it low-key. Next time lang, kung manonood ka ng Tears for Fears concert at magpa-flash ka ng Laban sign sa camera, make sure na wala sa crowd ang very honest na si TJ Manotoc para ‘di ka ulit ma-tweet! Aminin n’yo, tahimik sila! Na-miss n’yo ‘noh? Two reasons why it failed: One, she’s octogenarian, let her rest! Two, she’s in orange. 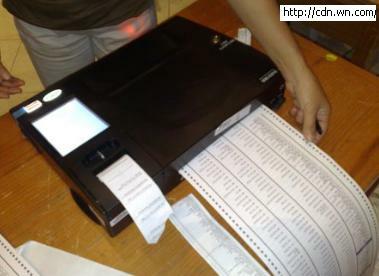 Dapat bang ipagpaliban muna ang halalan hangga’t ‘di nareresolba ang problema ng Comelec/Smartmatic-TIM? Tomorrow, we will be part of a historic electoral exercise. Hindi nadadaanan sa dahas ang pagresolba sa ‘di pagkakaunawaaan. After this election, sana, bati-bati pa rin tayong lahat.